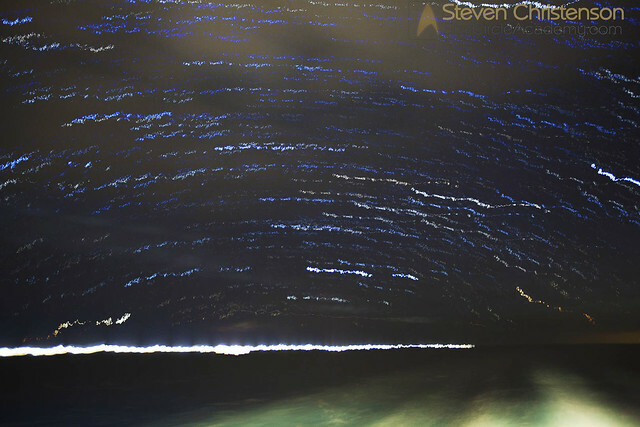 Night photography can be about movement – like star trails, for example – and cruise ships move. 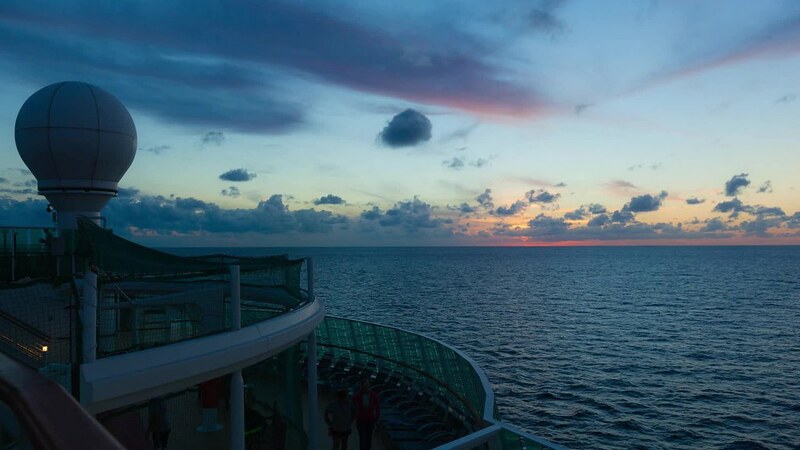 Being aboard a ship means NOT having to drive anywhere or fly anywhere. Bed, food, drink and entertainment are never farther away than the length of a football field. I can still spend time with my family rather than alone in the wilderness because… we are all in the same “wilderness” at the same time. 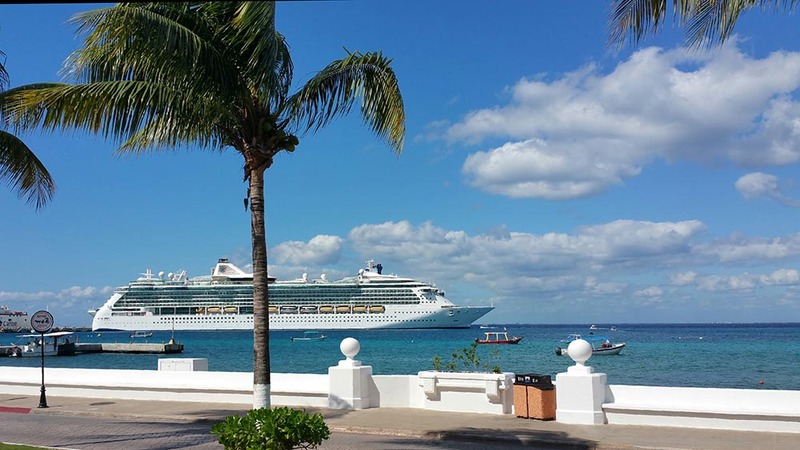 My particular cruise was aboard the Brilliance of the Seas by Royal Carribbean. The ship departed from Tampa, Florida to Key West, then to Cozumel and back to Tampa. The good news is the things I feared most did not happen: I only gained 1.5 pounds and none of my equipment fell into the sea. 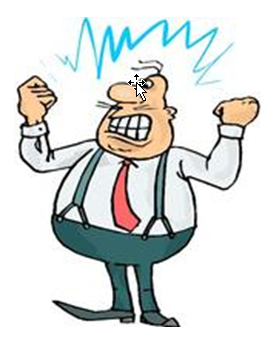 I also had no motion sickness – though some I traveled with were uncomfortable in what were relatively light seas. It does not have to be all about night photography, right? My travel from the West Coast to the East Coast for the cruise made it a lot easier for me to be awake at sunset and near impossible to greet a sunrise. These two trails were taken on different days (one when the ship was cruising south, another two nights later when cruising north). Both were taken from Deck 5 with no moon. The first trail was from near the bow (front of the ship), the other from off the stern (back). South bound star trails from near the bow of the ship** Please read below for how I got here… it is an important detail. Looking south from the stern of a north bound cruise – with unfortunate clouds – but look at all the motion! That bright streak (and the cloud illuminated above it) are another passing cruise ship. 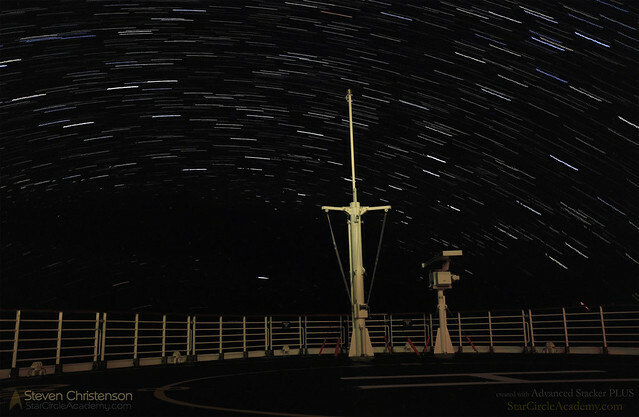 The ship was steadier when southbound – thus the first star trail looks pretty normal. The second one from the stern of the ship looks like a seismograph! Want to get a feel for the motion from the stern? Watch the video. First scout your vessel thoroughly… do this before embarking (using deck plans available on the internet), then during the first day, and at night. I discovered that a passageway open during the day, was gated at night. Unfortunately, that passage led to the darkest part of the ship. More about this in a minute. Cruise ships are floating cities, and like cities, lights are everywhere and unavoidable. Onboard the Brilliance there were 2 darkish places to go and one dark place where I could not go*. One darkish spot was the top deck toward the bow. There are lights everywhere, but if you shield your eyes and moved deck chairs to cover over some of the bulkhead lights you could make out stars. What I could see, however, was nowhere near the glory that I’ve seen in even moderately rural areas. A darkish spot – mentioned by guest relations, was the starboard (right hand) side of deck 5 near the stern (back of the boat). Again, lots of lights everywhere, but that area was dark enough that with some eye shielding I could easily make out Orion. See the next photo to see just how much light a ship casts about… the moon illuminated the sky as well – but you wouldn’t be able to see even this many stars by eye in a dark clear sky in any normal area of the ship. The light from the ship illuminates the water around it, while the moon illuminates the sky (Cuba is glowing in the distance). Notice how the ship’s pitching and rolling turned stars into squiggles. 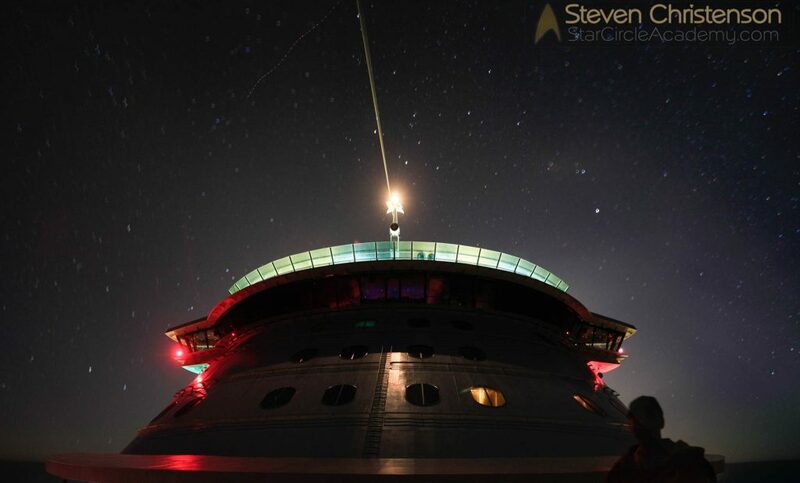 You may be wondering how I pulled off the photography on the bow given that the passageway was barred at night. It happened innocently. I took advantage of a quirk on the Brilliance of the Seas. In the theater on the ship on the upper level there are what are best described as “box” seats adjacent to the wings of the stage. That area has nearby doors, one marked “Exit” the others are marked crew only. I took the “Exit” and it put me out by the passage to the Helicopter landing pad on the bow of the ship. There was then another “gate” barring access to the helicopter landing area itself – but it was plenty dark up front. 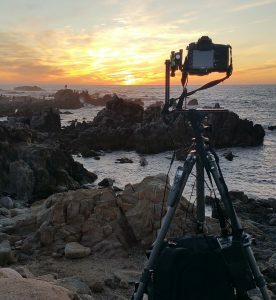 I swung my tripod up on the helopad area and controlled it with my intervalometer being careful to create as little light as possible. That’s how I got images for the first of two star trails above. I then stood at the outer rail of the helipad and took a panorama of the bridge area. Straight up and forward were MUCH darker. Much of the crew area and the wheel house spanning the entire front of the ship is kept dark with minimal extra light. Note how much light there is on the top deck where you can see silhouettes of passengers through the glass. 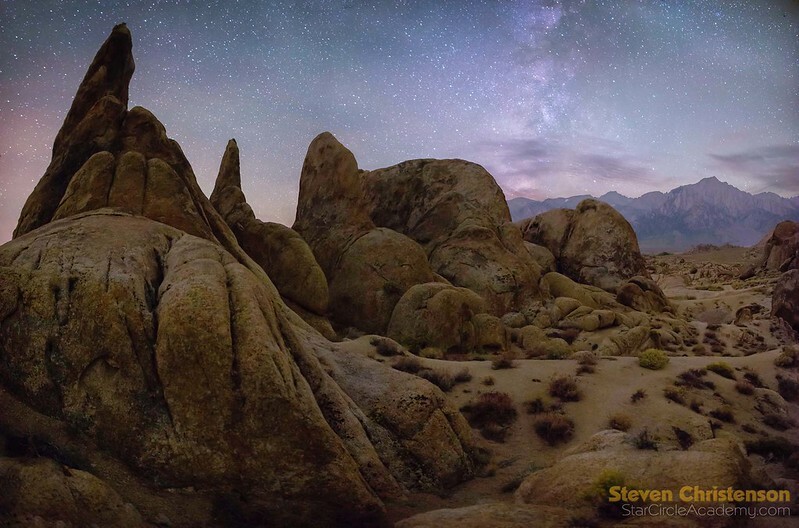 This is a stitched 4-shot panorama. 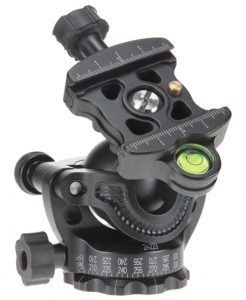 For a 5 day cruise, I took one camera, two smaller lenses batteries and a tripod. I packed almost all of my clothing for the trip inside a single large (carry-on size) bag with some extras in a small carry on “personal item”. That packing arrangement works great for short trips. To accommodate “Formal Night” I stole some space in my wife’s luggage for dress shoes and a suit. Would You Like To See Celestial Delights On a Cruise? 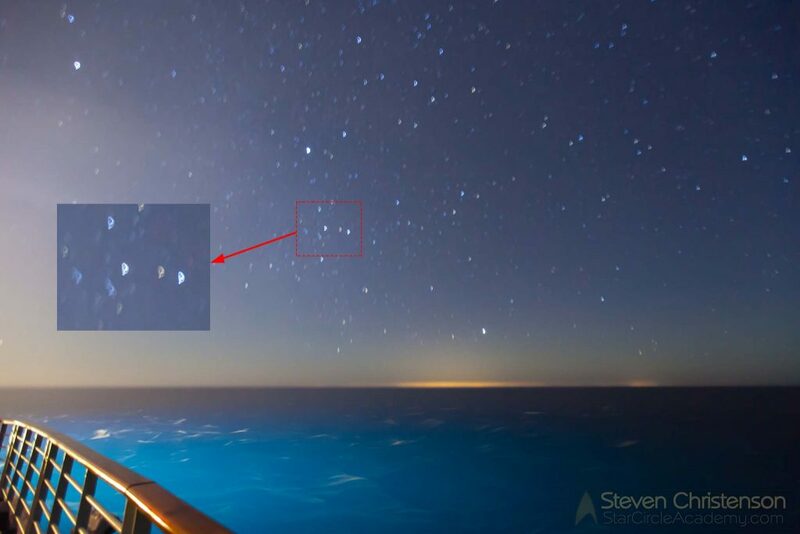 Knowing that many travelers have never seen a properly dark night sky, I contacted Royal Caribbean and let them know I thought a potentially great ship resource was untapped. If you had a chance to view incredibly dark skies on board your cruise ship, would you relish that opportunity? Please let us know in a comment below or on our Facebook Page. 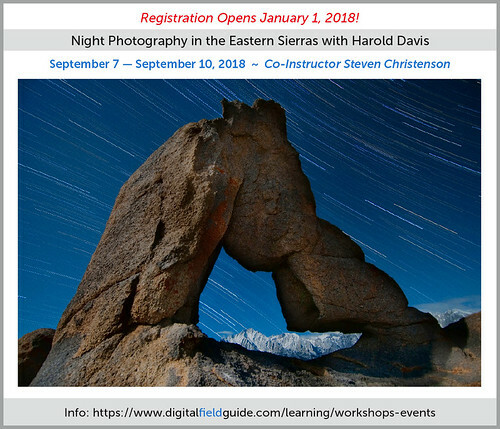 Perhaps the cruise line will contract SCA to teach night photography in addition to the many other courses on board. 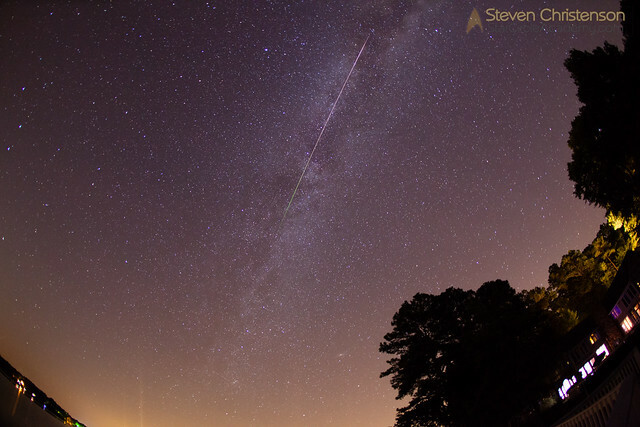 I, for one, would love to get on a dark deck and stare up into the Geminid meteor shower – or view the Milky Way at its finest.! 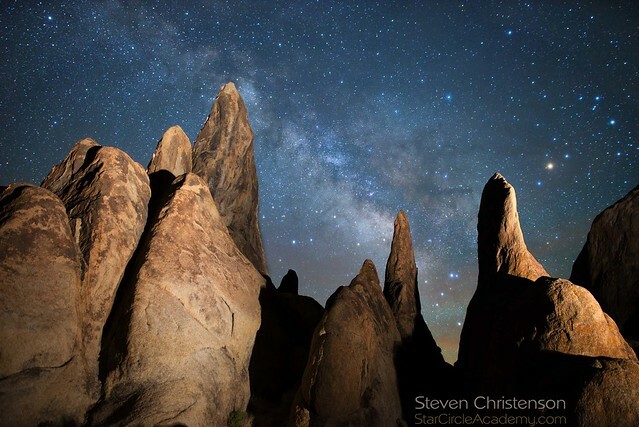 This entry was posted in Creativity, Image, Photo Tip, Ravings, Review, Star Trails, Timestacks, Travel on November 29, 2016 by Steven Christenson.